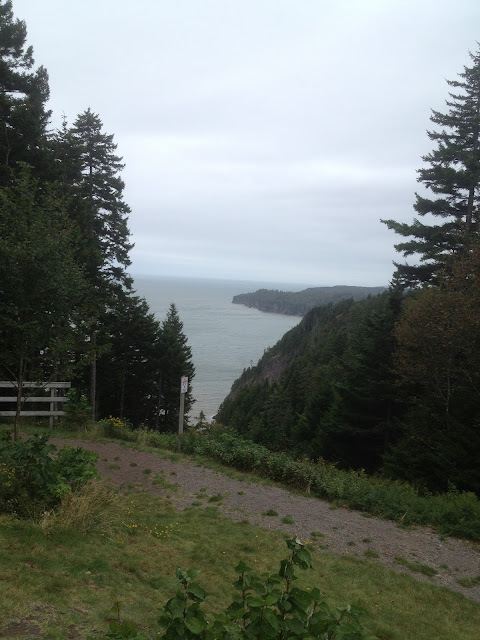 I didn't know what to expect when I took the kids on an hour drive from Saint John, NB to St. Martins to check out The Fundy Trail. The Fundy Trail Parkway skirts the cliffs along a portion of the Bay of Fundy. The views all along the drive are spectacular and there are numerous overlooks most with picnic facilities and pit toilets. I found it hard not to stop at every one. 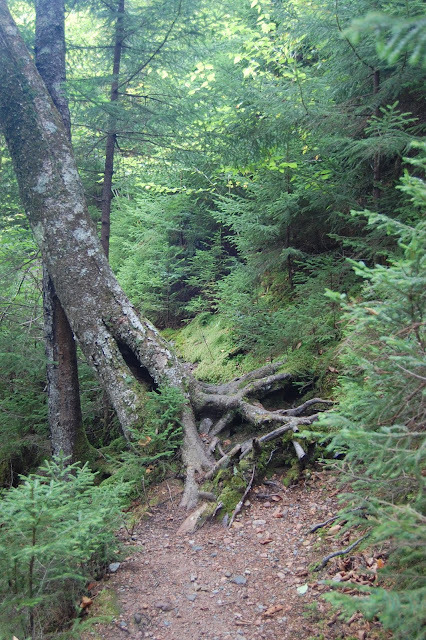 A multi-purpose trail runs nearly the length of the parkway making it a great hiking or biking destination. 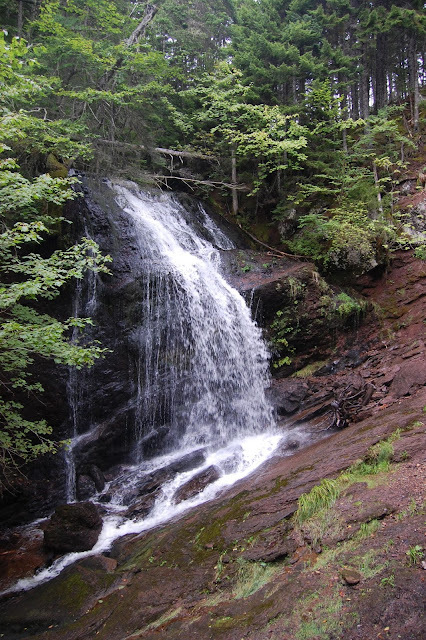 There are a few other foot paths available to specific sites such as Fuller Falls, Flower Pot Rock, Ship Captains Cemetery and down to the shore. We visited The Fundy Trail on a Tuesday in early September and we felt as if we had the place to ourselves. 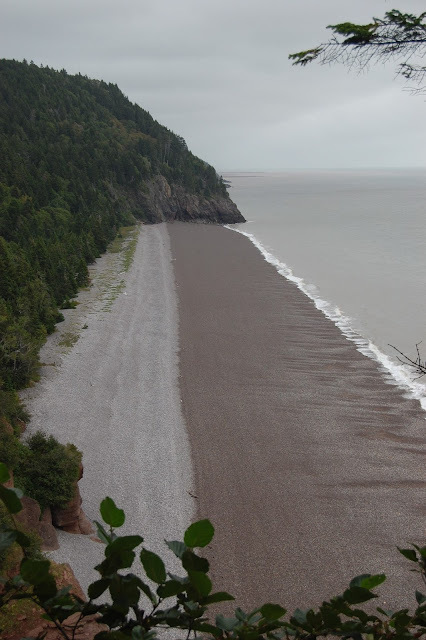 It is remote enough that you feel like explorers, but developed enough that it was easy to explore with kids (lots of bathrooms, trails of varying duration, and decent signage). 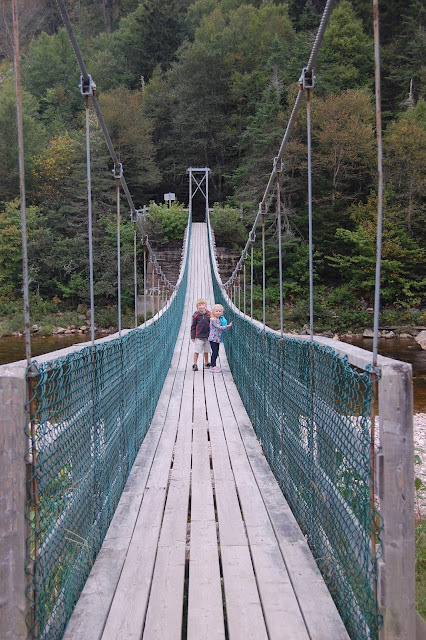 We even took on one of the more challenging trails that follows along the Big Salmon River out to Hurst Lodge and my 5 and 7 year old did great. We found several different species of mushrooms, a frog, and an odd looking caterpillar along the way (I attempted to identify them; see captions). ?The whoolly chanterelle - Gomphus floccosus? Eastern American Toad -- Anaxyrus americanus americanus? White Marked Tussock Moth Caterpillar? While the parkway itself is not nearly as long as the Blue Ridge Parkway for instance, it is still under development and the potential exists for a longer scenic roadway and additional trails. According to their website, Phase II development would connect the Fundy Trail Parkway with Fundy National Park and Hopewell Rocks creating a world class scenic byway that would help capture the tourism dollars that otherwise bypass New Brunswick for points east in Prince Edward Island or Nova Scotia. I wouldn't mind seeing them accomplish this goal. 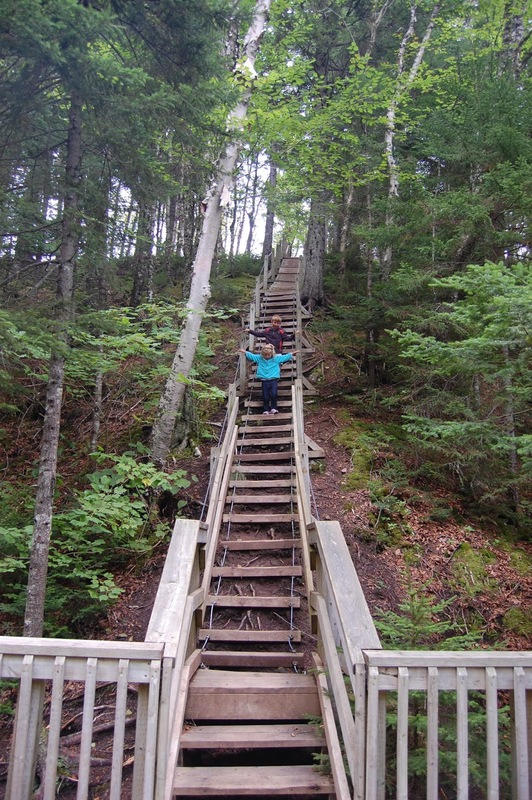 In the meantime, the Fundy Trail as it exists is a must see if you are in southern New Brunswick or the Saint John area. We saw one of those caterpillars at the park the other day. Bekah screamed when she found it crawling across her lunch. I never notice these little critters but Elisabeth is always spotting little bugs and things. I was amazed at how beautiful and odd looking it was. It makes me more interested in caterpillars in general.